From the classic Margarita to the Love Byte, "Cocktail Chameleon" is award-winning designer and producer Mark Addison's invitation to join him as he dresses up twelve cocktails in twelve unique variations for 144 signature takes on the classics. Mr. Addison tantalizes with molecular mixology to create the Anti-Gravity, instructs on how to reinvent the beloved Bloody Mary with sake, and invokes the famed royal rose garden with the Versailles. 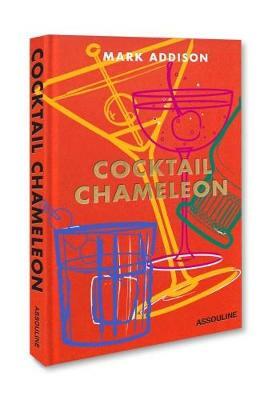 Inspiring the creative mixologist in everyone, Cocktail Chameleon will become an instant ally for hosts looking to elevate an occasion, or a much-needed friend to help unwind and end the day on a high note!